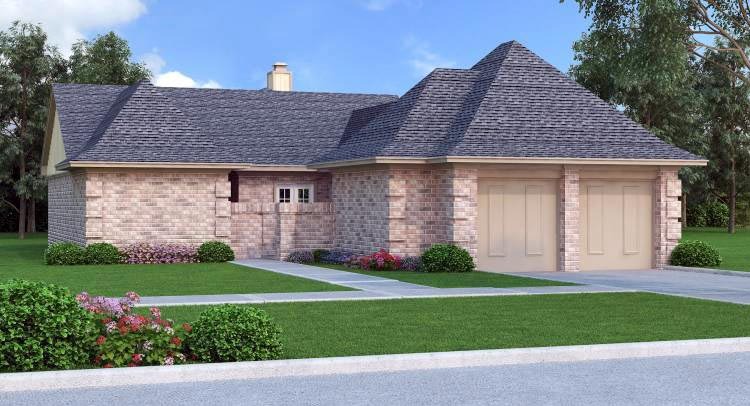 Designed for narrow lots, this traditional style home is also well suited for patio home developments. One side of the house is windowless so that it can be placed on the property line for zero lot line developments. 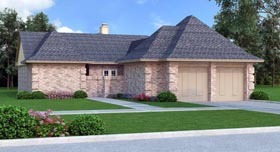 All of the windows are oriented to the opposite side which yields maximum privacy in a patio home development. This plan is designed for super energy savings but with minimal cost of construction and it features 2x6 exterior walls. 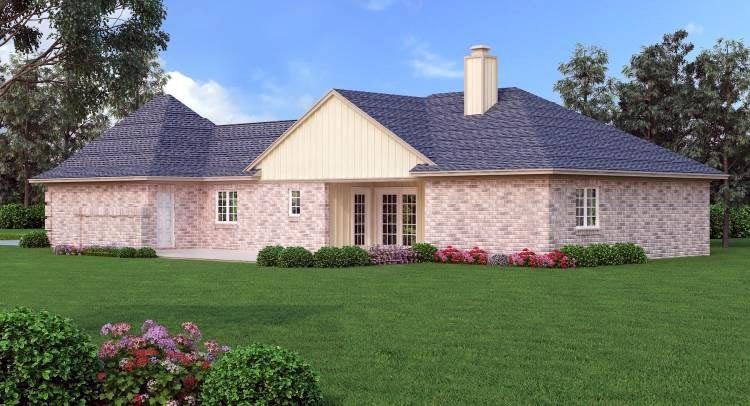 The living room has 10’ high volume ceilings, glass door access to the side porch and patio, built-ins, a wet bar and a wood burning fireplace. The kitchen is nearby and features a built-in desk and glass door access to the porch and patio, ideal for outdoor grilling and dining. The master is king size and has an enormous closet wall with 3 separate closets. The adjoining bath is functional and has a built-in dressing cabinet. The two secondary bedrooms are large and share a bath conveniently located between the two bed rooms. *Cad files are currently not available but can be produced upon demand. Allow 30 days.